Robert S. Kaplan and David P. Norton jointly conducted a research on “Measuring Performance in the Organization of the Future” in 1990. They started publishing the insights of the study through a series of groundbreaking articles since 1992 in Harvard Business Review, and subsequently under the bestsellers titled “The Balanced Scorecard”, “The Strategy-Focused Organization”, “Strategy Maps” and “Alignment”. Many world renowned corporations, government departments, education institutions and NGOs are adopters of Balanced Scorecard, including Department of Defense of USA, BMW Financial Services, Exxon Mobil Corporation, General Electric Company, etc. 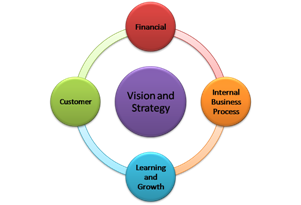 High Impact specializes in tailoring the application of Balanced Scorecard for clients according to their industries and organization needs. Call us at (852) 2234 0383 for service details.